AMAZING! VMB Group is incredible! Their team is well organized and knowledgeable. They were able to provide honest quotes about pricing. The team instructed me on all possible issues and found a reasonable and cost effective solution! VMB Group is very professional and detail oriented. They are very efficient and were able to complete our project on time. Thank you VMB Group! I would strongly suggest this team for consideration of your home! It was our pleasure working with such an amazing client and thank you for your kind words. We contacted VMB Group as we had an emergency with our sump pump. They responded very fast and sent a technician over in no time. The issue was solved in a very professional way. Communication with VMB Group was excellent and they went the extra mile to cater to our needs. Highly recommended. It was our pleasure dealing with you, and thank you very much for your generous and kind words. Great work- we are very happy. Vlad and his team. Nothing was a problem and extra work removing concrete in parking area, backyard and installing underfloor heating pipes in floor slab were very reasonably priced in addition to the contract (thanks Vlad). It was definitely our pleasure to work with you, you guys are great clients. Thank you for your kind words and for your time! The estimator was organized, knowledgeable and honest about possible additional costs. The quote was reasonable, in comparison, and fairly accurate in the end. The work was done professionally, on time and with minimum disruption to our daily lives. Information was available throughout the project. We are completely satisfied with VMB and would definitely recommend them to anyone considering waterproofing or basement extension. Greg, it is our pleasure working with customers like you. Greatly appreciate your trust in us and thank you for your great review. The guys did a great job. They were clean and tidy and when leaving cleaned up the area. It’s like they were never there. My basement had 3 cracks that leaked on opposite sides of the house. Now it’s bone dry. The team dug down, found the root cause of the water and fixed it the right way. Would definitely use them again. Thank you, for taking the time to share your review. It was our pleasure to complete the project for you. 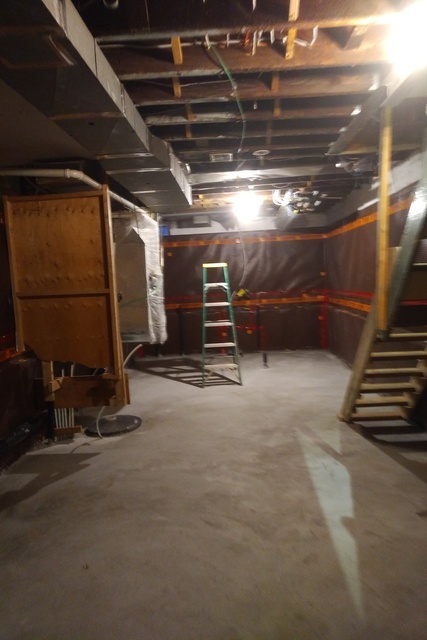 We hired VMB Group Last spring to stop a leak which we had in our basement and we are very happy that we did just that. They are knowledgeable, professional and there to work for YOU. 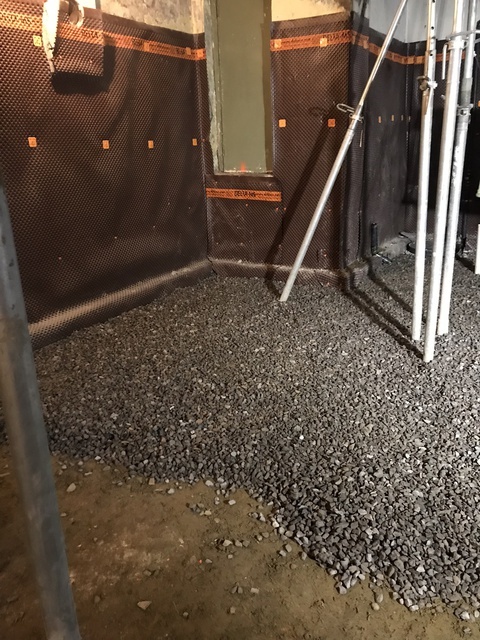 They have waterproofed our basement and changed our concrete slab in the basement. They dealt with all permits, inspections and everything else that was necessary to complete the project. We are finishing our basement now, since the work done, there is no water or any signs of moisture. Glad to finally enjoy our basement. Thank you Carly for you great review. It was our pleasure to complete the work for you. Thanks again! We hired Vlad and his team to waterproof our basement and we are very happy that we did. They diagnosed and fixed the problem quickly and effectively. We definitely recommend this team of professionals. Thank you for the review and your kind words! 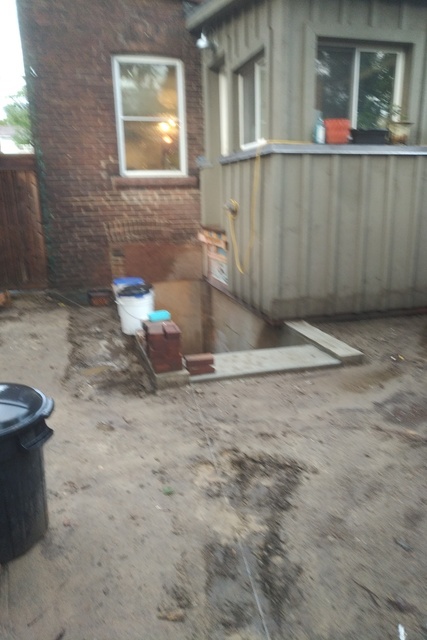 We fired Vlad and his team to fix a leak as well as a slab replacement at my mothers house in Etobicoke, and both my mother and I could not be more pleased. Vlad saw that my mother is a very nosy elder lady and that it was difficult for her to understand some things however - that she wanted to know what was going on, so he took the time - multiple times - to explain to her what was going on and what they were doing. This team has a great amount of knowledge, patience, respect. Greatly recommend them to everyone. Thank you Xu, for your time taken on writing us a review. Greatly appreciate your business and working with such great clients like your family. 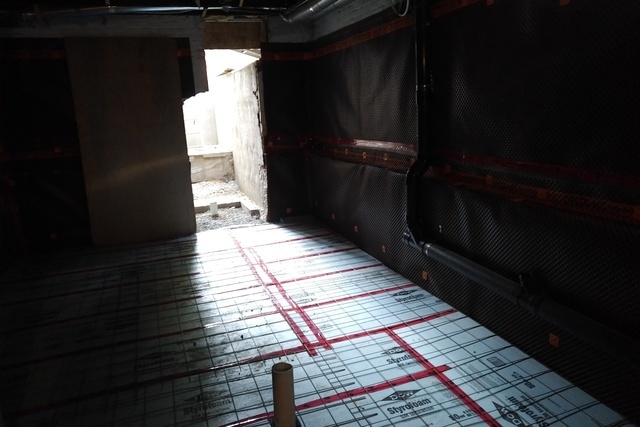 VMB Group definitely did an exceptional job with the basement waterproofing! With their amazing customer service, high level of expertise, and attention to detail, I would recommend VMB Group to anyone! Thank you Chelsea for taking time to write us a review and for your kind remarks. Greatly appreciate working with you! VMB Group serves all of GTA and surrounding areas, providing customers with solutions which best suite their needs. From small repairs to underpinning and home additions, VMB Group provides a variety of services as well as providing customers with a fully transferable 25 year warranty for all workmanship. If you have any questions or concerns about your basement, foundation, or any other general contracting, don't hesitate to call, and we'll be there at our earliest convenience to help. VMB Group is fully licensed and insured.